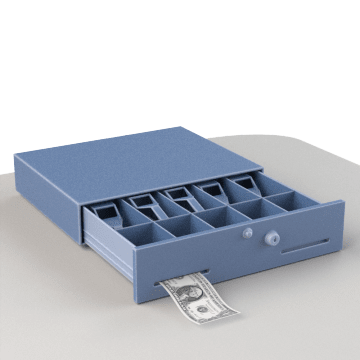 Organize and store cash, coins, checks, and receipts in these portable cash boxes and trays to speed up transactions and reduce errors when counting currency. They are portable and can be locked in a safe when not in use. 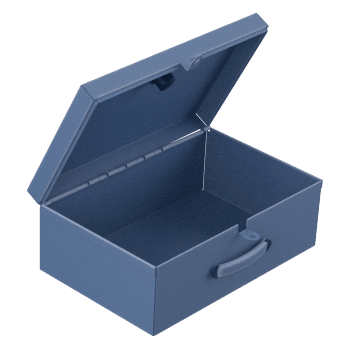 Also known as petty cash boxes, these standard cash boxes are typically used for small purchases and reimbursements around the office or for managing transactions at fundraisers and conferences. 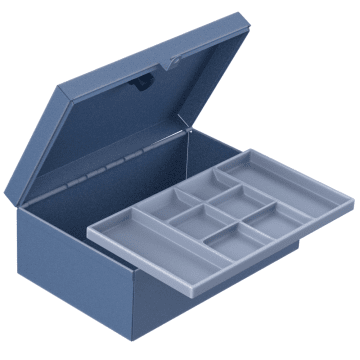 Keep large bills and papers in the extra space below the lift-out tray in these cash boxes. 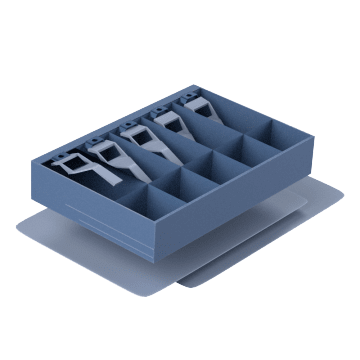 They're handy for making small purchases and reimbursements around the office or for managing transactions at fundraisers and conferences. With compartments for sorting bills and coins, these trays keep your currency in order. They are compatible with most cash drawers used in stores, banks, and currency exchanges.